Happy Friday, my dear readers! If you're looking for an encouraging blog, this is one you will want to follow and add to your favorites list! 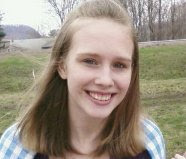 Lucy is a young woman who loves the Lord and is pursuing Jesus. She is 18 years old and I am constantly amazed at the wisdom she has beyond her years. 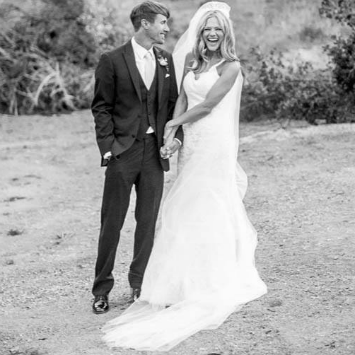 She not only shares beautiful words and thoughts, but her photography is lovely too! I am SO thankful she's one of my sponsors this month because she is a kindred spirit and such an inspiration. I could go on and on... but let's hear from the belle herself! :) She graciously answered some questions I asked her so that you can get to know her! 1 // Tell us about your beautiful blog and why you chose the name? 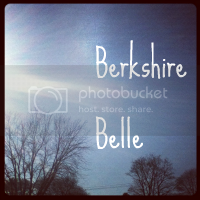 My name is Lucy and I blog over at Berkshire Belle. I started blogging when I was 13 years old on a high fashion blog called Chic Mystique. I had stopped blogging when I was 15 because high fashion was not where my heart was anymore and when I was 17 I decided to delete that blog and start a new blog chronicling my life as a Christian young woman. 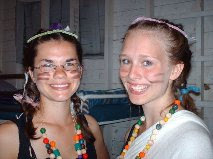 My friend Amanda & I getting ready for our camp banquet. 2 // What is the Lord teaching you right now? My entire life I have struggled with patience. At this point in my life I constantly feel the need to rush through everything to achieve my goals and consequently I miss out on the joyous little things in life that bring me great happiness when I take my time and slow down. He is teaching me that He has perfect timing and that if I am patient He will show me the way instead of me making my own way. 3 // If your life was made into a movie, which actress would you choose to portray you and why? If my life were made into a movie I would choose Elizabeth Banks to play me. Sure, she's only a year younger than my mom but she's from the same place as me! Elizabeth Banks has been one of my role models for several years now mainly because she got out of this little piece of nowhere and has become super successful. I think she would be awesome playing me because 1) we are both blonde and 2) she has certain nuances that are characteristic of Berkshire County. Plus, I'm just a huge fan! 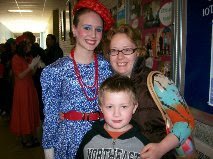 My mom, one of my brothers and myself after one of my plays. The theatre is a HUGE part of my life. 4 // If you were on a deserted island and could only have 3 items, what would you bring? Hmmm, I would bring my Bible for sure and a water distiller would be a must-have! I would probably bring my herb book as well so that I would know what I could work with medicinally and nutritionally. 5 // What is your favorite thing about blogging? What is one tip you've learned about blogging that you can share to help other bloggers? My favorite thing about blogging is all the wonderful people I've been able to meet, who share the same values as me, who in ordinary circumstances I would have never had the chance to gain their acquaintance. It has been such a blessing to know that I am not alone on this journey of loving God and maintaining a level of purity that our culture does not tend to value. During this short time I've been blogging for Berkshire Belle, I've come to realize that the most important thing you can do is just be real and honest about yourself on your blog. It is easy to begin to get generic hoping to attract people to your blog but it'a another thing to say what is on your heart and let the world see who you are. And just have fun! It's supposed to be fun, right?! Smile, friend. You are loved. Love the name! I am truly a Southern Belle. My husband is from Belize an when we first met I had to explain to him the difference between a "country southern girl" and a "Southern Belle". Lol. Keep pressing towards the goal for the Kingdom! God bless! The Girl Behind The Blog - Vlog! "your heart is my heart"
// thankful sweetness // ...& a winner. so, if you're a princess...what is HE?